Experience modern Italian cuisine at Cork & Slice. Offering a casual fine dining experience, our menu boasts beautifully composed dishes and bold flavors to match. With a focus on premium fresh, locally sourced ingredients, we strive to raise the bar of kosher gourmet cuisine. 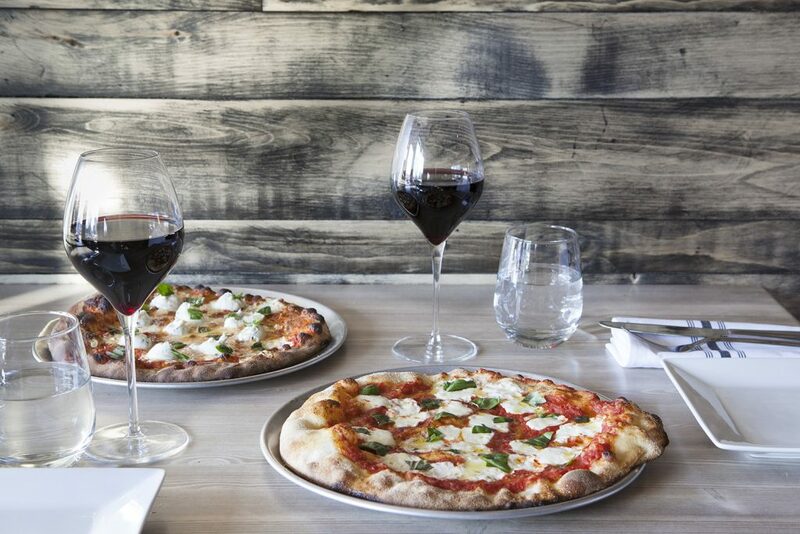 Taste our contemporary approach to cuisine with a menu featuring stunning hot and cold appetizers, fresh fish off the pier, house-made pastas and artisan pizzas, all with complimentary wines and cocktail pairings. With savory offerings that always deliver on flavor, Cork & Slice is equally passionate about delivering an all-encompassing culinary experience. Diners seated at the front of the house or the bar can watch our pizza chefs at work. With distressed wood tables, exposed brick walls, urban lighting and a modern fireplace centered in the dining room, Cork & Slice offers an elegant rustic atmosphere. Our wait staff provides exceptional service, matched only by our mouth-watering modern American fare with Italian influences. Raise a glass and whet your appetite at Cork & Slice.